De Beers Group’s Venetia mine in South Africa has hosted free health screening sessions for mining communities as part of a R1.8 million health initiative. Around 1,500 people were screened at the health fair held during the Community Health Week in mid-October in the towns of Musina, Alldays and Blouberg. The mine teamed up with the South Africa Business Coalition on Health & Aids (SABCOHA) and technology company EOH for the sessions. The screening sought to detect early signs of health risks such as hypertension, diabetes, HIV and tuberculosis, as well as breast and cervical cancer in women. The Minister of Health, Dr Aaron Motsoaledi, led the week and gave the keynote address to kick it off. Phillip Barton, Chief Executive of De Beers Consolidated Mines (DBCM), said the Community Health and Wellness Programme in the Venetia communities was going well and by the end of October the hope was to have more than 15,000 staff and community members tested. De Beers Group pioneered HIV screening, he added. Debswana, the Group’s venture in Botswana, led the world’s first HIV Disease Management Workplace Programme in 2001, followed by DBCM in 2002. Now 53 per cent of DBCM’s employees know their HIV status, 92 per cent who are living with HIV are linked to treatment, and 90 per cent are suppressing the virus. EOH also contributed R1.8 million and provided mobile testing units, test equipment and health advice and referrals where required, while SABCOHA organised the health week. 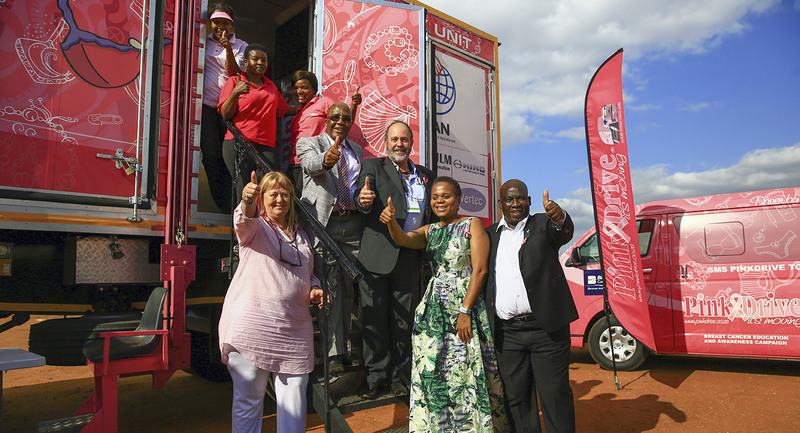 The initiative has already seen 10,000 people receive comprehensive health screening and 100 micro-enterprises from the Musina area given training. In the run-up to the health week, Josephine Pieters, the mine’s Corporate Affairs Manager, appealed on radio to mining communities to come for the screening. She told listeners that the company’s stakeholders and communities had spoken of the need for better health screening and basic health education for mining communities – where people often do not undergo routine health checks.